The sleeve includes an old gnarled tree, a dragon clutching a skull, a rose, smoke additional skulls and a moon and stars. 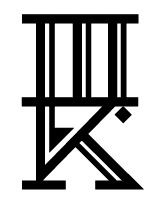 The playing card, aflame with a skull-faced suicide king, is bright in the center of the inner arm. You also can see another flower with a skull peeking out. 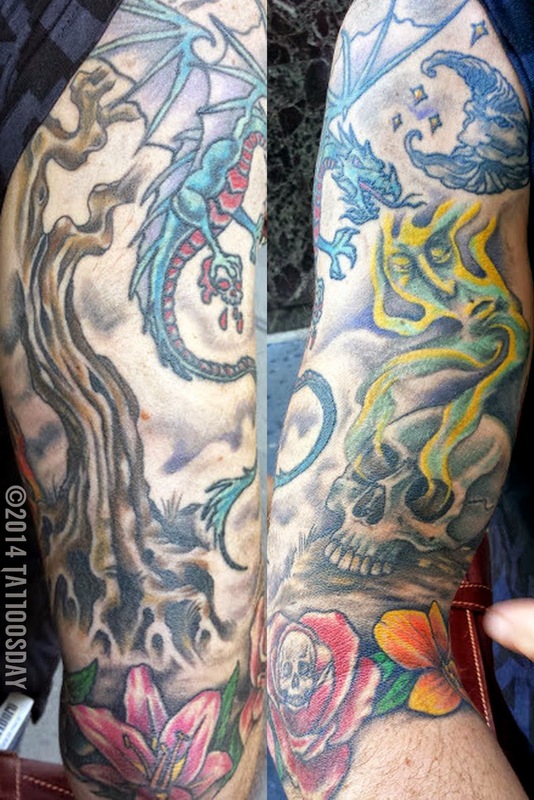 Vince had the dragon inked twenty years ago at The Tattoo Shoppe in Carlstadt, New Jersey, but all of the surrounding work was done by Charlie at Lola's Tattoos in Bogota, New Jersey. "There's a lot of skulls in there," he told me, "I just like skulls." 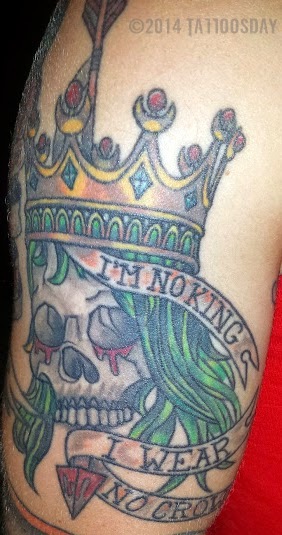 Thanks to Vince for taking the time to stop and share his cool tattoos with us here on Tattoosday! 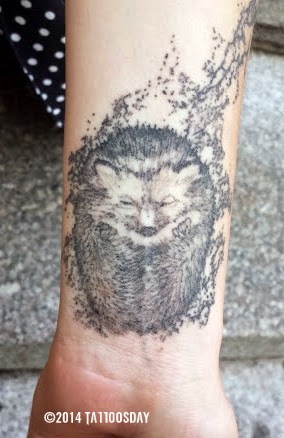 Last month at the Coney Island Mermaid Parade, I spotted a guy with a really cool Where the Wild Things Are tattoo. 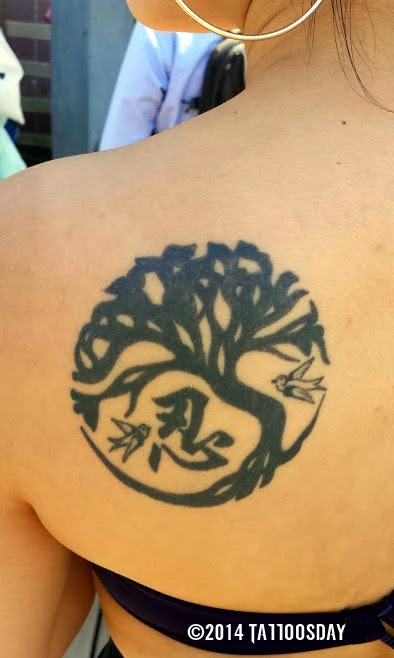 I remembered meeting a guy 2 years earlier at the same parade, but I knew that this tattoo was better than the one I had featured two years ago. 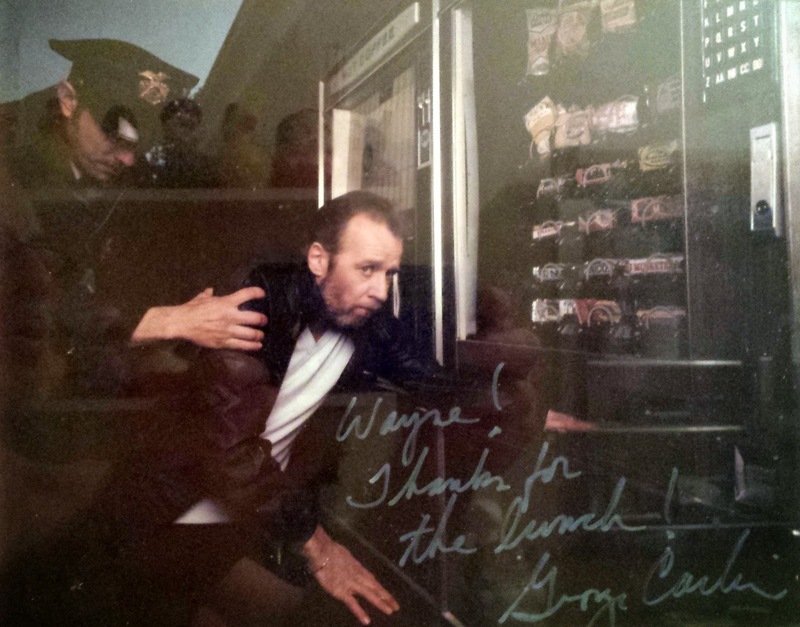 When I asked the guy about it and he said his name was Max, I knew I had erred. 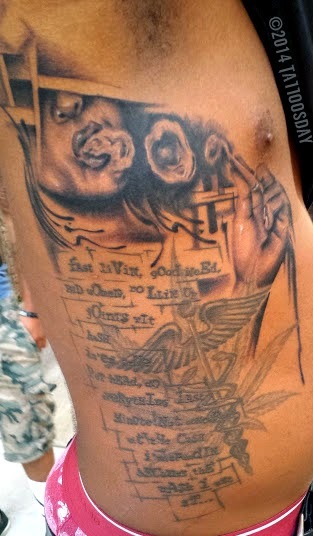 It was the same guy, same tattoo, only with more detail. 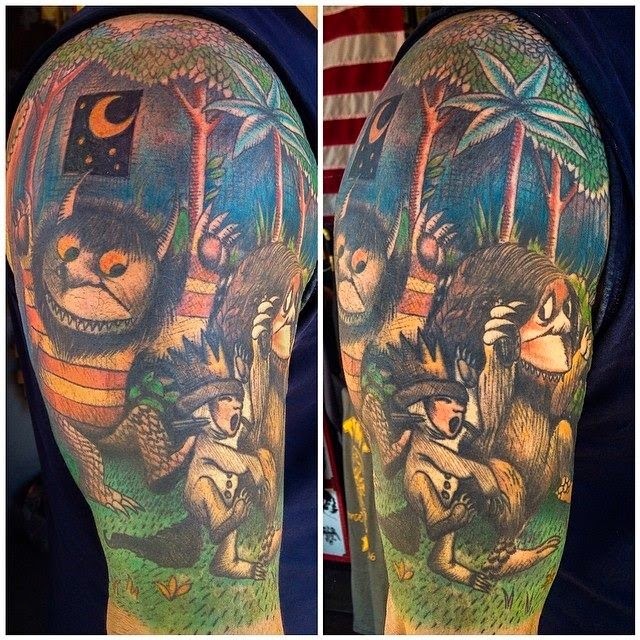 The artist for this newer (frankly better) Where the Wild Things Are tattoo is Luke LoPorto from Timmy Tattoo in Huntington, New York. 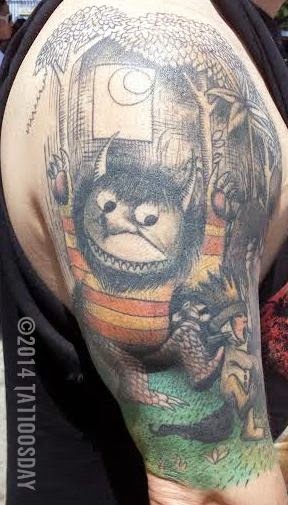 So, the moral of the story is, if you meet a guy named Max, and he has a Where the Wild Things Are tattoo, don't assume you've met him before. He may be a different Max. 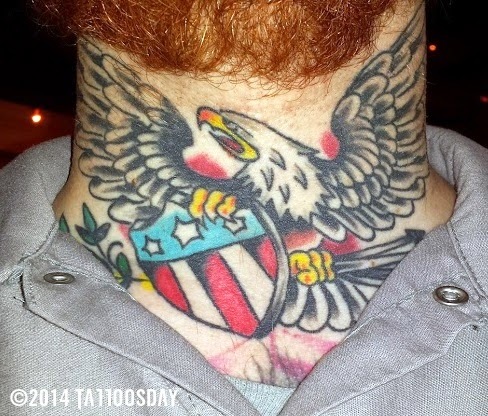 Thanks to the 2014 Max (and the 2012 Max, as well) for sharing his awesome tattoo with us here on Tattoosday! 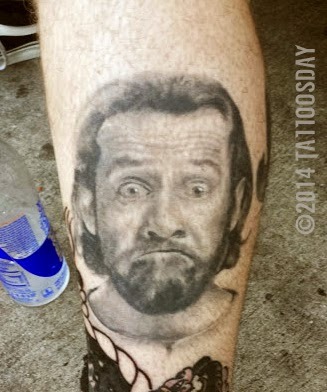 UPDATE: Several weeks after this posted, artist Luke LoPorto shared the finished product. See it here. Kalossal explained that this is all about royalty, saying "every king should have a queen that's got his back." 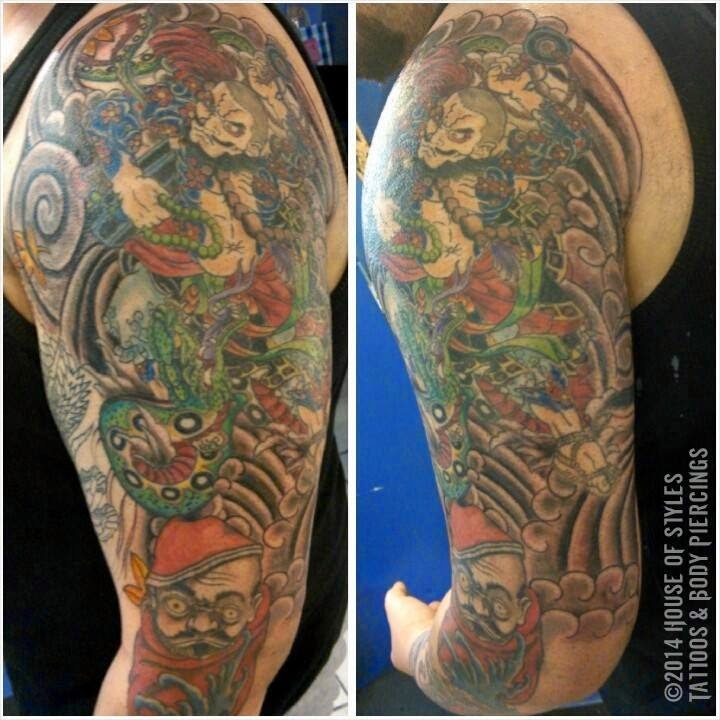 This piece was created by Al Fliction, who is a central figure to the UTC and is an Ink Master alumnus. 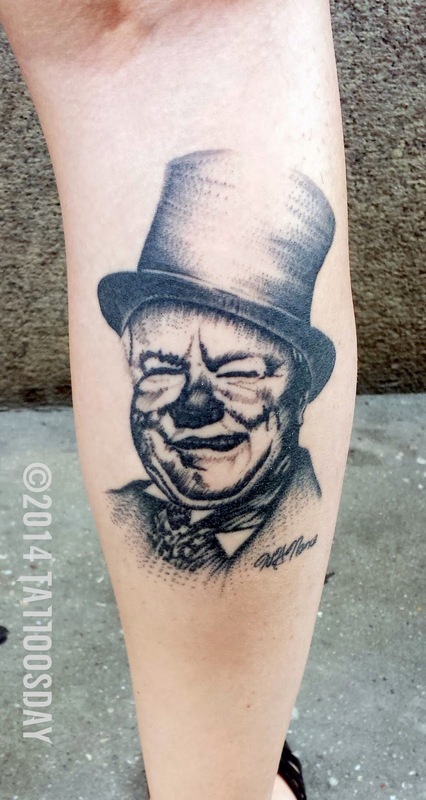 "My father drew the picture and ... Ryan Reyes [formerly of Asylum Tattoos] tattooed it ... My dad was a huge W.C. Fields fan and he drew his likeness constantly. He was an artist and he passed away a few years ago and I got in in memory of him and that's my dad's signature right there [on the bottom right]." 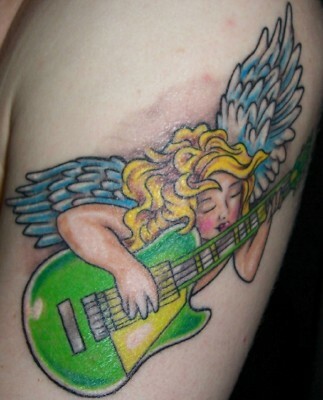 Thanks to Kristin for sharing this cool tattoo with us here on Tattoosday! 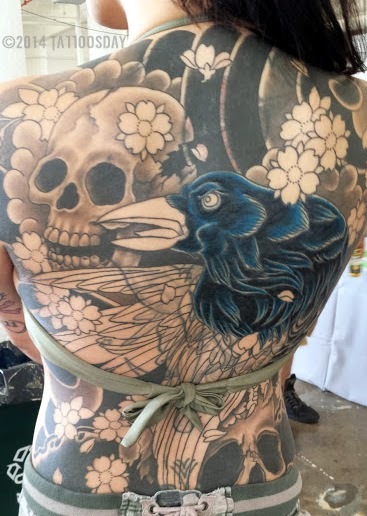 The crow, skulls and cherry blossoms in this back piece are exceptional. 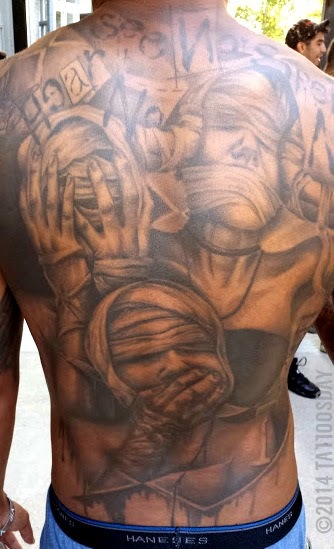 Even incomplete, you can tell how amazing this work is. 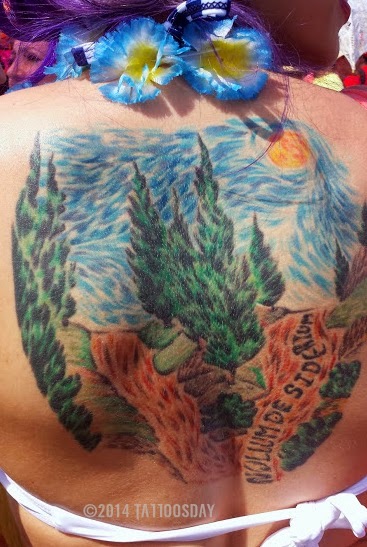 Thanks to Kay for sharing her back piece with us here on Tattoosday! Her sword rears Liberty and she's standing above a banner that warns "Snitches Get Stitches." I met Margot at the Coney Island Mermaid Parade last month and she credited Dave at Oddball Studios in Portland, Oregon. 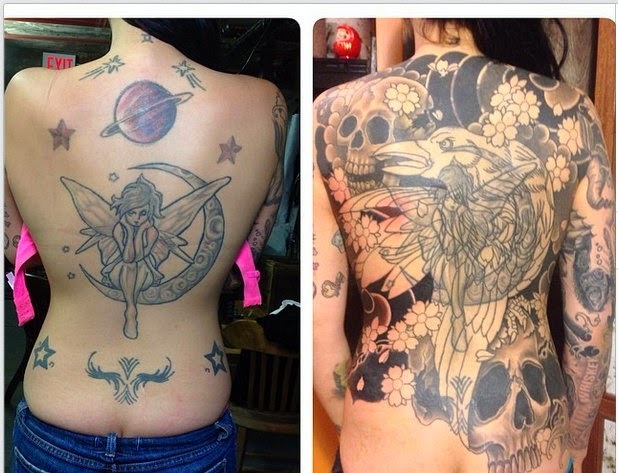 Dave has done every one of Margo's tattoos. 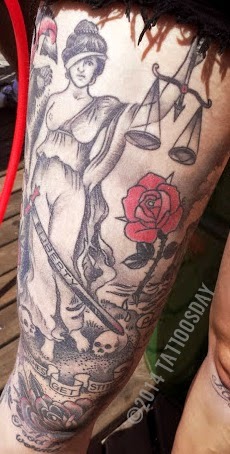 Thanks to Margot for sharing her leg o' tattoos with us here on Tattoosday! Have a safe and happy 4th of July everyone! She credited this to an artists named Milton somewhere in SoHo. 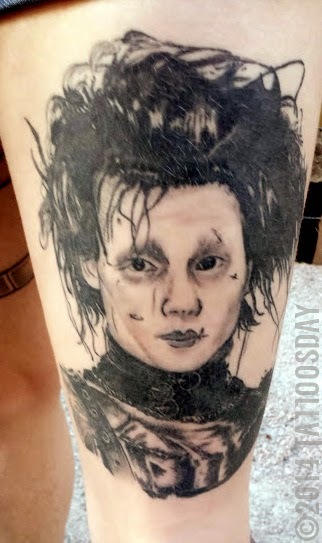 She got it because she loves Johnny Depp and his character Edward Scissorhands. 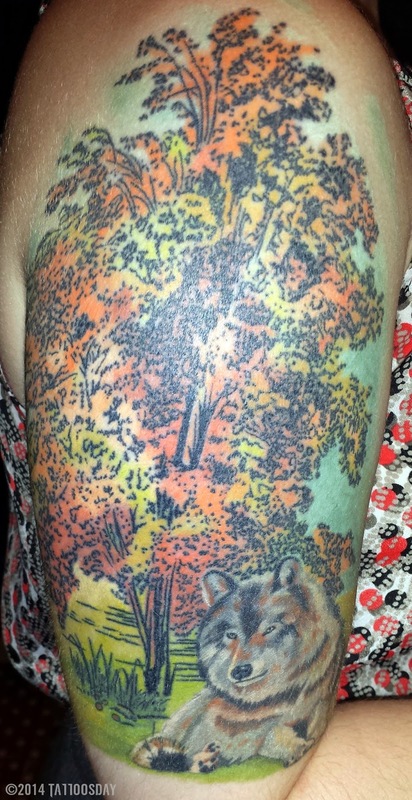 Thanks to Alexandria for sharing this awesome tattoo with us here on Tattoosday! 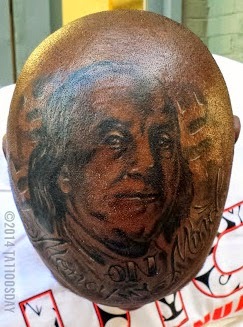 On Saturday at the 5th annual NYC Urban Tattoo Convention, I asked a guy about his back piece and who his artist was. The artist was Eon, owner of Mr. 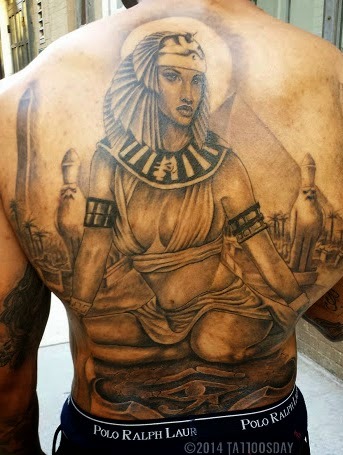 Tank's Tattoos in Denver, Colorado, and he happened to be standing right there. In fact, Eon was with four of his clients, so I just snapped away. 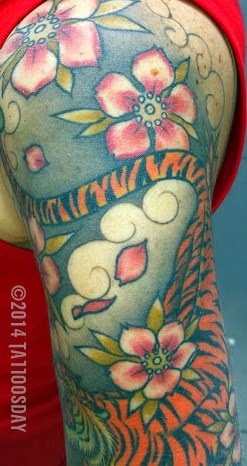 Thanks to Eon and his friends from Denver for sharing their ink with us here on Tattoosday!